My favorite face that Adam makes. This picture says it all. 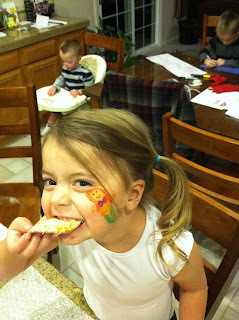 Kylee loves to eat and she loves to have her face painted. Team Work. I love it when these two actually play together. 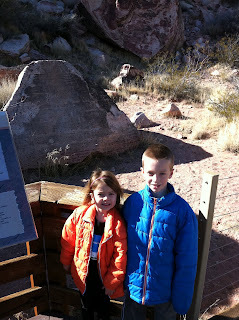 I think this picture was taken at Red Rock when Ben took the two of them hiking. 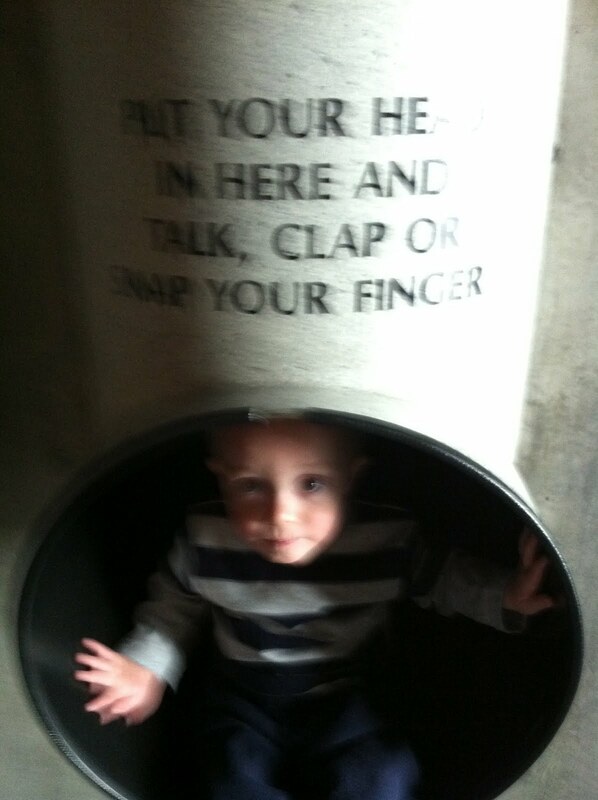 Adam loved the tunnels at the children's museum. Christmas at Grandma and Grandpa Volmer's. We had a great time! Kylee and her favorite cousin in the world Eliza. 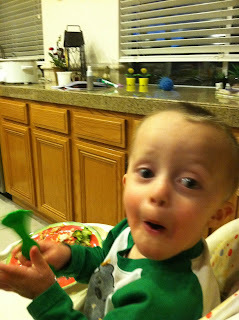 Zac got a ton of Gogo's and he was happy as could be. Adam didn't really care about any of his toys. What a great disguise! These two should have been wearing devil horns. Kylee holding baby Cole. She was so proud of herself and talks about how she is going to be a babysitter for Cole. Playing in the snow at Nanny's house. We went to the shark reef in december and the kids loved it. Adam even learned how to say shark there. Kylee tripped and hit her nose on her bed, but it looks like she got hit with a baseball bat. One of Zac's many creations. He thinks he's pretty cool! Zac and Wyatt on a train ride at Tuacahn. Me and my mom walked next to them and the guy took them on a mile long ride. We got a good workout. Kylee loves her ballet and tap class. She dresses up in this outfit all the time at home. We took kylee rollerskating for her birthday. 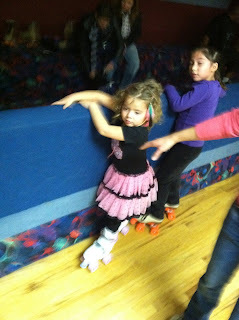 She had fun, but let's just say she needs lots of practice. Kylee had a pajama party with all her little friends on her birthday. She didn't know about it and they all surprised her. It was really fun. Look at those scary trick or treaters! What a cutie pie. He seriously has the cutest smile. Kylee and Zac just before their primary singing program. I missed it because Ben and I were in Boston. My mom was with them and got them all ready and they didn't even miss me i'm sure. This is at Joseph Smith's birthplace in Vermont. We were there at the perfect time for the leave change. It was such a beautiful place. (This is supposed to be with the other Boston pictures). Zac had a camping themed birthday party. We set up a tent, had a fire, went on a treasure hunt and a bear hunt...he really had a good time, but it was WILD! 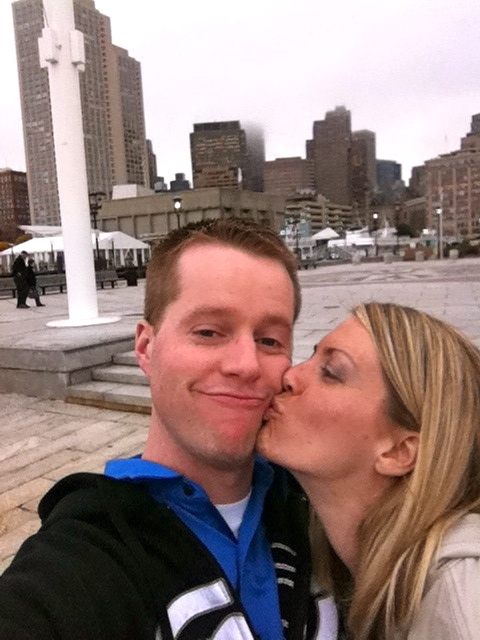 Lovebirds in Boston. Ben and I went there in october and it was so fun to get away for a few days just the two of us, even if Ben did have to go to work some of the time. Boston is a really cool city! I would love to go back there again someday.